The worship ministry of First Baptist Church is a vibrant and exciting answer to the biblical call to praising God through music. Our style of worship is traditional. We sing from the hymnbook, the choir performs anthems, and all of the music is accompanied by organ, piano or both. Every Sunday we try to engage our congregation with something different to help us all focus on a theme and better worship God. Whatever we do, we try to do it with excellence as that is what is deserved by our Savior. We also use contemporary music accompanied by acoustic guitar as well as strings, brass and woodwind instruments. At First Baptist, embody scripture's call to worship. The Psalms are texts to be sung to God. We are called to sing throughout the Bible. Ephesians 5:19 tells us to “Sing and make music in your heart to the Lord.” We are created to have fellowship with God and part of that is worshipping Him through corporate worship. God has given all of us gifts and we are to use them for His glory. Worship of God is of primary importance to First Baptist and we hope that you would choose to allow God to use your gifts of worship to lead others to His Throne. Want to get involved? You can also call Keenan Franklin at the church 706-322-4468, 706-366-9771, or EMAIL. All in attendance at one of our worship services can participate in worship through the singing of hymns. You may also like to participate in our Adult choir which meets on Wednesday nights from 6:30-8:00 pm in the music suite. We also have children’s choirs (3-5 yrs., 1st-5th grade, Wednesday 6:30-7:15), and handbells. There is a place of service for all musical talents. All music groups present a worship program during the Christmas season. The older children’s choir presents a musical during the month of May. Children’s Choir is made up of children from 1 st -5 th grades. They meet at 6:00 p.m. in room 209 on Wednesday evenings. Mrs. Babbs Douglas is the director and the children learn about music in the church and prepare songs for worship and a spring musical. These are our worship leaders of the present and future and Mrs. Douglas does a great job of teaching our children to sing and lift praises to God. Keyboards at Christmas features multiple organs and pianos each year. 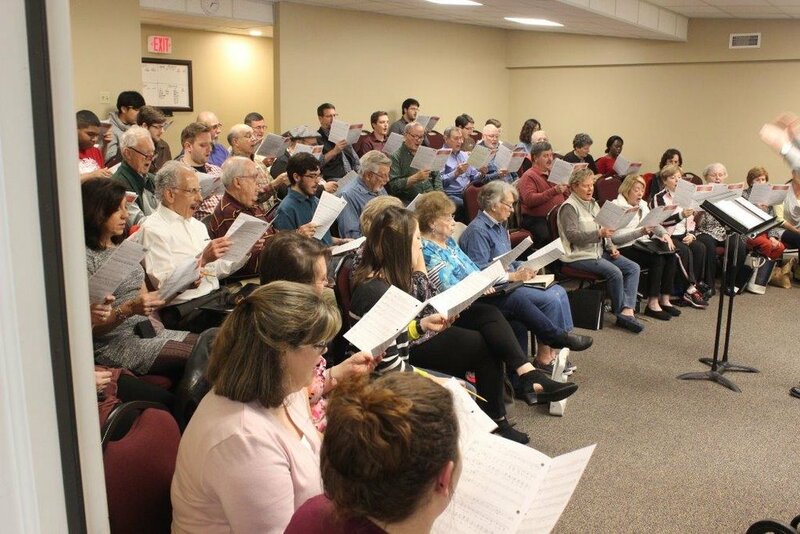 The Adult Ensemble is a selected group from the choir that sings more challenging pieces for worship or pieces that are more suited to a smaller group. It is used periodically in worship as well as special services. Our preschool choir is for ages 3-5. Mrs. Gena Davis directs this group and they meet at 6:00 p.m. on Wednesday nights in room 110. The children do crafts and exercises directed at learning music. They will sing periodically in worship and especially around the Christmas season. Our handbells are used on special worship services throughout the year. Rev. Myron Douglas leads this group of ringers. The choir plays a couple times of year in worship and during Easter and Christmas seasons. The rehearsal times vary according to schedules. The Koart Scholar program really started around 2006 with two young ladies from the Schwob School of Music at Columbus State University. Since that time, a scholarship program started in the spring of 2015 in the name of Diane Koart. Because of her gift we are able to offer music intern scholarships to students from the Schwob School of Music. These interns sing in the adult choir, play or sing according to their primary instrument, and help with handbells, youth choir, children’s and preschool choirs. It is the intent of the Koart Scholarship program to prepare music students for music ministry in the local church. This is a wonderful ministry of First Baptist. The students share their gifts with the church and they in turn learn about music ministry.